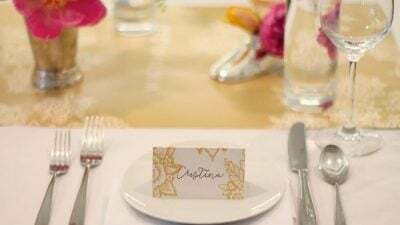 You are here: Home » Entertaining » Calligraphy » How to Learn Calligraphy in 5 Days! How to Learn Calligraphy in 5 Days! That’s right! 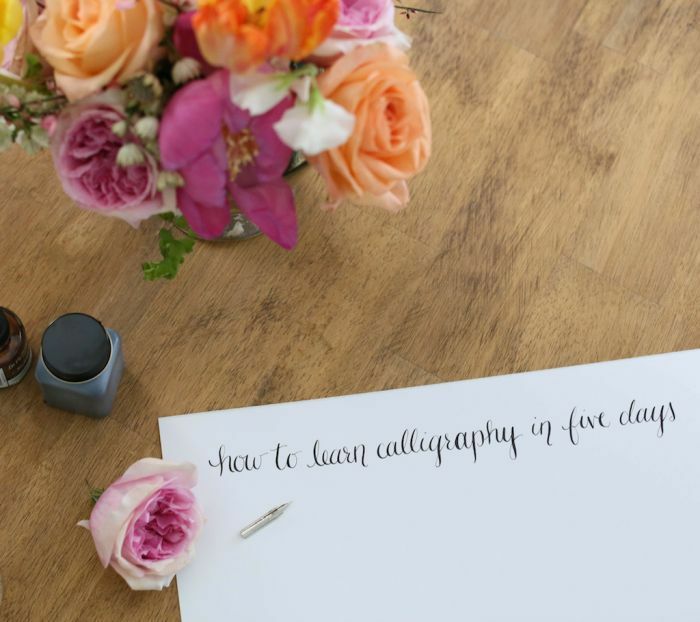 I have partnered with calligrapher Madi Reid Sanders to teach you how to learn calligraphy in 5 days! After dreaming about beautiful handwriting for years, aspiring to learn calligraphy for the past few years without any local classes & only overwhelm online, I finally learned the art of calligraphy. It was easy. It was therapeutic. It was empowering. I had allowed so many factors become barriers to something I wanted to do for myself. I met Madi last summer & discovered that, in addition to being a beautiful soul, she also has a beautiful talent – calligraphy. After having her make a sign for Adalyn & Aniston’s birthday, we talked about how easy it was to learn – if you had the right “tools.” We spent an afternoon together talking about calligraphy & then step by step, she taught me the basics, while photographer Jenny Wheat captured it. We have broken it down in to 5 easy sessions, in addition to some great bonus content that include free printable exemplars. So, join me & see how fun & easy it is to learn calligraphy! Oh, & those gorgeous blooms? Created by the talented Emmy Ray of Handmaker of Things. You’ll be seeing more of them too! Pin this strip to save the series for later! Keep in touch – have more inspiring tutorials delivered to your inbox like my 5 minute flower series or how to make a teepee! I am new to your blog. I just wanted to tell you that I absolutely love it! I get very excited when I see you have a new post. 🙂 Lovely! Simply lovely! Thank you Renee! So sweet of you to take the time to share with me & make my day! What type of ink and fountain pen do you recommend using? Start at the beginning – all the details are there. Enjoy! I have wanted to find a class in calligraphy for a long time. Can i still have the links to the calligraphy class??? They’re all included – just follow the series from start to finish using the links at the bottom of each post. Is the left handed class a different class than the right handed one. I tried to copy the left handed worksheets but couldn’t do it any segestions. I’ve always wanted to learn calligraphy — and now I can. Thank you for sharing. Learn calligraphy, what pen and ink do you recommend? Visit the supply post for specifics. 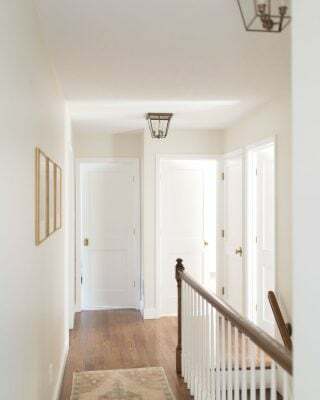 All posts are linked from start to finish at the bottom of each post so that you can easily follow. Enjoy! 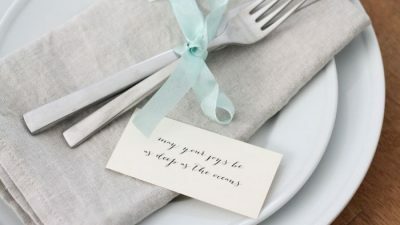 I have recently subscribed to your blog and have had this pinned for months but I was wondering if there is a way to still receive the upper and lower case printable? On the calligraphy alphabet link there is only a link for the lower case letters, and says that uppercase letters are for subscribers only. 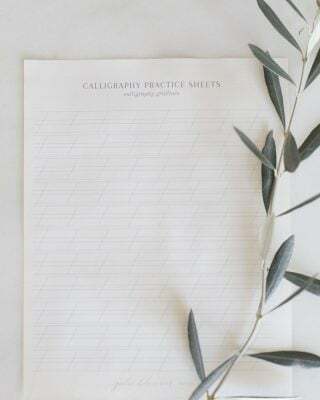 I adore the style of your calligraphy and I would love to have the practice sheets to learn with. Thank you for your help. Love it!! Easy instructions can’t wait to try them out 😀 being all fancy ???????? Julie, I don’t have access to calligraphy pens or nibs. Can I start with regular gel ink? You can certainly fake it with gel ink, but you’ll find you’ll get the effect with a pen and nib. Maybe start with something from your local craft/hobby store? I would like to know more about the online calligraphy course please. Start here and follow the links below from one lesson to the next, with free printable worksheets. That’s incredible and SO inspiring! I would love to take watercolor lessons myself. Cake decorating is also on my list. Happy New Year! Congratulations on your upcoming wedding! It goes out twice a month to subscribers, so you’ll receive it soon! Hello julie and madi I would love to follow your course please send me the details. Many thanks Jenny. You can start the “course” here, following from one lesson to the next and bonus worksheets are emailed to subscribers once a month. I just found this on Pinterest…I can’t wait to get started! I am a beginner in Calligraphy and your blog is helping me a lot. Thanks for creating this tutorial. I am so glad that i found your site. I’ve been wanting to get back into Calligraphy for some time now. I starting learning way back in high school, but have not actually done it for several years. I want to learn calligraphy. Do you run courses? Unfortunately, no, just this online course that you can follow from post to post. I have looked at your courses with interest. I had taken an Italic course last year. Really fabulous teacher, very patient. I struggled through the whole class because I am left handed and my writing just looked average, in fact not great. The teacher went above and beyond to help me, but I write left handed, the upside down way and this made everything very difficult for me because I had to write with my hand down, not up. Any suggestions because I would love to take one of your courses? I am also a doctor, but have actually very nice left handed writing, contrary to what my profession is supposed to have! 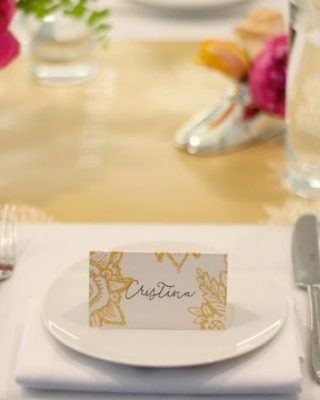 I am beginner looking for a online resource from where i can learn how to make letters beautifully on a blank paper.I am really excited to learn calligraphy ASAP.